Virtual Reality is a hot topic for PCs right now, with the imminent releases of the Oculus Rift and HTC Vive, and everyone wants a piece of the action. It's a Wild West free-for-all as different hardware and platforms are announced, so putting together a gaming rig that can handle the demands of the upcoming VR setups is a real concern. 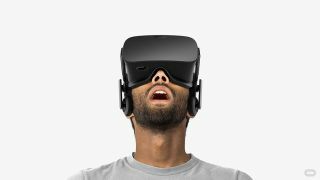 Oculus VR has recently helped clear the air by publishing the recommended specs for its Rift platform. Depending on your current system, the recommended hardware either looks moderately tame or outlandishly extravagant. The core components consist of the CPU, GPU and RAM: Core i5-4590, GTX 970 or R9 290 and at least 8GB. If you want to minimise on costs, you could easily build a complete Oculus-ready system for around £700 (around $1026, around AU$1451), including the OS, but we view these recommendations as more of a minimum, rather than a long-term solution. To make sure your PC is VR-ready, check out our video below on how you can benchmark your rig and know what you need to upgrade for the best virtual reality experience. No one likes to be caught unprepared when the inevitable next round of updates shows up, so we set about building a rig that has some room for upgrades down the road. Our baseline rig meets the Oculus recommendations, and when Oculus 2.0 doubles down in a year or two, you'll be ready. Trusty screwdriver in hand, let's get building. In theory, all you need to get started with building a Virtual Reality-capable rig is any computer case to house your components, but a poor choice can leave your rig pushing up daisies in short order. If you want to be going strong for several years, you'll need something more capable. We've opted for a larger case that offers plenty of room for expansion; we also chose a slightly faster processor, a motherboard that can support a second GPU, and included an SSD, which ought to be required for any new PC in 2016. The case is Antec's shiny-new P380, an understated yet attractive design with plenty of room that doesn't make a lot of noise. Our graphics card is the diminutive Asus GTX 970 DirectCU Mini, packing a lot of power into a small package while using much less juice than the AMD R9 290. The CPU is Intel's i7-4790K, cooled by the Cooler Master Hyper 212 EVO, though the i5-4690K could save you £90 ($132, AU$187) without hurting gaming performance. ASRock's Z97 Extreme6 motherboard is good value, and if you want wireless AC integrated into the board, check out its similarly priced Extreme6/ac. Either one makes adding a second GPU simple. Powering the system is the Corsair CX500, a compact but non-modular PSU. We used some generic DDR3-1600 memory, as RAM typically has little impact on real-world performance. Wrapping things up, we went with a 250GB Samsung 850 EVO SSD and a 2TB Hitachi HDD.